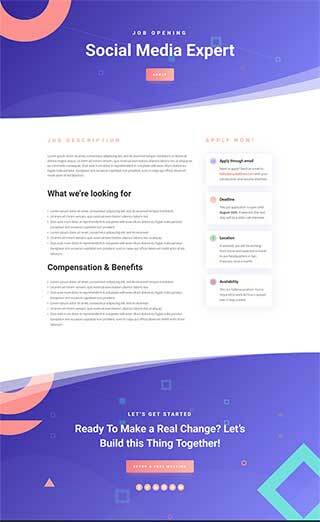 600+ Divi layouts (2019) | view the best Divi layouts here. Divi Layouts are pre-made modules, rows, sections and pages for you to load directly from the Divi builder or via your Divi library and use in your Divi websites. In the Backed Builder click on Load Layouts > Premade Layouts OR In the Visual Builder open the settings bar and click on the “+” then Premade layouts. 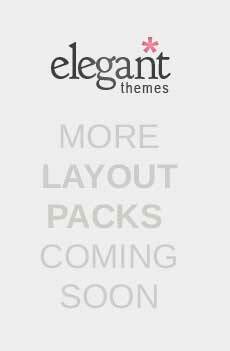 *Note, older layout packs listed near the bottom of the page (without grey backgrounds) or 3rd party Divi layouts will need to be downloaded from Elegant Themes or the 3rd party and imported manually into your Divi layout library (see video). 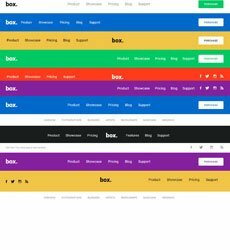 Divi Layouts to download or load from Elegant Themes. We all know the team at Elegant Themes is a talented bunch, so you won’t be surprised to see that these Divi layouts they have created look great. With this set of layouts for Divi alone, you can create almost any Divi website you could need without having to design a thing. For the latest Divi layout packs you can load them directly via your Divi builder or visual builder. The link below each layout pack will take you to the Elegant Themes blog post for that layout with more details, live demo links and video instructions. For older layouts not included in the builder, you will need to head to the Elegant Themes website, enter your email and hit the download button to reveal the download link. Divi Layouts created by Divi Theme Examples. Divi Theme Examples has a number of free layouts for Divi available to download (with a social share). These layouts are free to use for personal or commercial use but please do not redistribute. Thanks. If you have a Divi layout you would like to add to the layout gallery on Div Theme Examples, please get in touch via the contact form. If you prefer to search layouts in a filterable, searchable Divi layouts directory then head over to the Divi Layouts Directory which lists 100’s of Divi layouts. Do you have a Divi Layout to share? If you have a Divi layout you would like to share with the community please get in touch via Divi Theme Examples contact form. The main layouts page includes those available from Elegant Themes and those that are available to download directly from Divi Theme Examples, while the secondary layouts page will feature all layouts available to download from 3rd party sites. This page is currently getting ~20k page views per month so get in touch and share your Divi layouts with the community.